Screen superstar Vivica A.Fox (Independence Day, Kill Bill) stars in the sci-fi thriller "Crossbreed," invading VOD this February Uncork’d Entertainment. 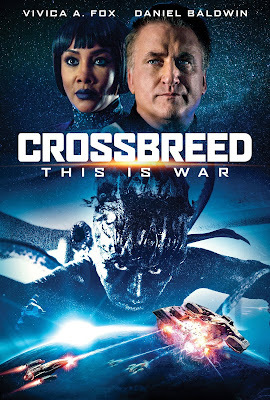 In the near future, the President of the United States of America hires a team of military veterans to retrieve an alien bio-weapon from a top-secret research facility orbiting the Earth. These highly trained mercenaries must infiltrate the space station and recover the deadly experimental alien cargo located onboard. All is going according to the plan until the cargo escapes.